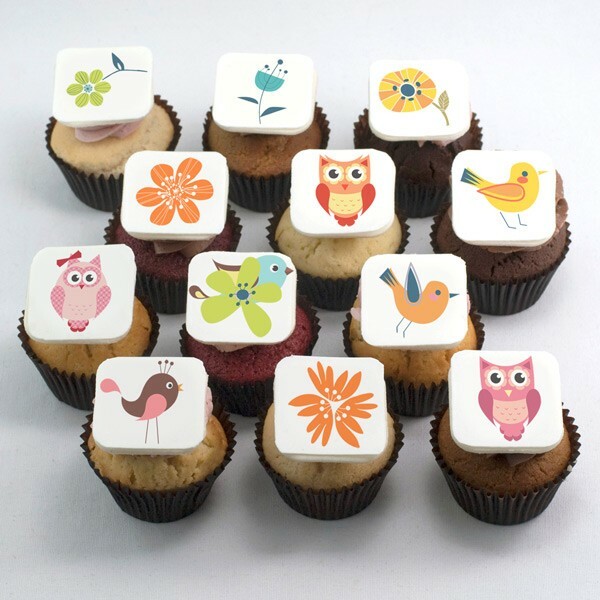 Mother's Day cupcakes with flower, owl and bird illustrations. > Mother's Day cupcakes with illustration. Mother's Day cupcakes with illustration.